On 20 December the Bulgarian people Ignazhden notes - the day of St. Ignatius of Antioch, one of the best students of St. John the Apostle Evangelist, so named because bore God in his heart. 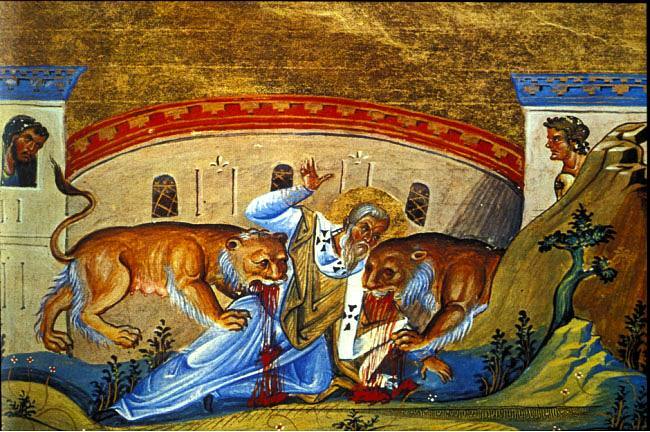 During the reign of Emperor Trajan at the beginning of the II c., Ignatius was taken to Rome where it was thrown to wild animals and torn from them. From that day began Christmas holidays. In folk beliefs this day is considered the beginning of dirty days (Ignazhden to Epiphany) and the transition from the old to the new year. Evening of the festival is the first Kadena evening. For her prepare meatless foods. On the table is placed raw corn and walnuts. On bread or wheat ignites a candle, and the oldest crawls with incense and charcoal and burn incense. The ash, candle and walnuts are retained for the rest incensed evenings. According to Christian tradition of this day began throes of Mary. This is the period during which the young and nulliparas called "martyrs" are not working to become pregnant and give birth more easily their children. On who will go first to the house of Ignazhden is guessing what will be your next year. If "spolezat" is good, then the house throughout the year there will be prosperity and success in vsichko.Tsyalata rites of Ignazhden prednachertava prosperity in the new business year. The rituals begin from early morning fireside and continue the festive table from noon until evening. And in some areas and rituals continued throughout the night. Each of rituals magical induce fertility of the land and roditba cattle. There is a custom to sow symbolically inside the house wheat and barley grains with the blessing of fertility. Fruits and nuts is covering about the most sacred place in the home - the fireplace. Again fruit donated the first guest who come upon the house on that day. In more recent times only chance determines who first come into the house of Ignazhden. But once it was considered so important that the owner of the house even on the eve of the celebration modfy and went to invite carefully selected guest. Because the popular belief is that if the first guest is a lucky man, his prosperity will come upon and home for the year. 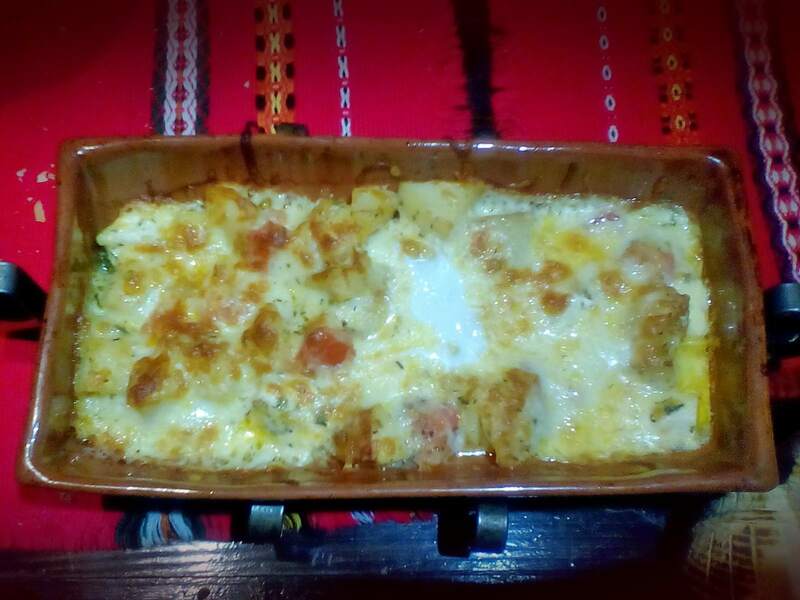 Therefore, in various local dialects guest called "spohozhnyak", "polozajnik" and others. That he speaks all the congratulations and blessings of the holiday. And materialize words in ritual activities. The guest must meet everyday and seemingly small gesture - dug with twig embers in the hearth. But that's sacred that kindles magically sunny heavenly fire to bestow a new life and fertility land. So even with entry spohozhnyakat ritual asking the hosts "Praise you Lord Young" Given the sun god by whose new birth is associated Christmas-New Year period in folk culture. Group rites were made and to update the family. Where has raised a daughter ritually promises her marriage in the new year. This is where the magic power of the secret magical rite of kneading the dough with love herbs. This dough is not baked, but are allowed to dry for 12 days. Every morning the dough is transferred to the next house and every night around him gather a group of women who "keep." If Ignazhden weather is clear, in April there will be a drought. If you are a woman trying to become pregnant, do not operate today. If it rains in April there will be rain and fertility. It is good if Ignazhden and also at Christmas snow. If Ignazhden weather is cloudy, the harvest will be good in hives shall have abundance. The weather over the next 12 days of the month - from 20 to 31 December - shows the time in the 12 months of the coming year. December 20 determines what the weather in January. It should not export anything from the house - especially fire, embers or salt - to not come prosperity. You do not want and do not give anything borrowed. Not going by the table during the meal because the hens will not lay. Do not go out in the yard for the hens to lay more. Do not sew and knit, not tangling intestines of chickens to lay eggs. Today celebrate: Ignat, Ignat and their derivatives, Iskra, Plamen, Adelina, Ognyan and their derivatives. Happy holiday!